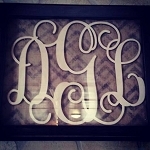 Beautiful Scallop edge Script Monogram! Stunning addition to ANY room! Truly a statement piece to be cherished for years to come!! Only available in the font shown. Made of Baltic Birch. Custom cut just for you! Circle, so size is the same- both height and width. 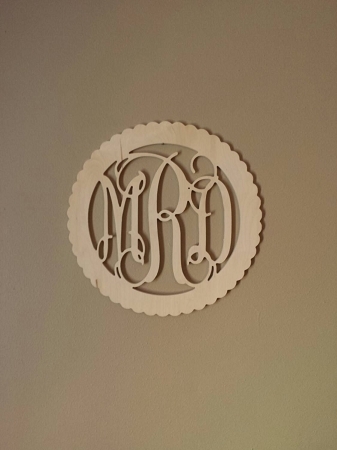 Your monogram will come lightly sanded and ready for paint or stain. Small fee for us to paint it for you. Our typical processing time is about 3-4 weeks. Longer during holiday periods.